Cloudware’s long history of deep strategic relationships in the Financial Services industry has taught us the skills necessary to support the most business-critical systems. Cloudware’s extensive experience will help you build deepen relationships with your customers, better leverage your data and be more successful as an organization. A Cloudware consultant may become your most important asset. 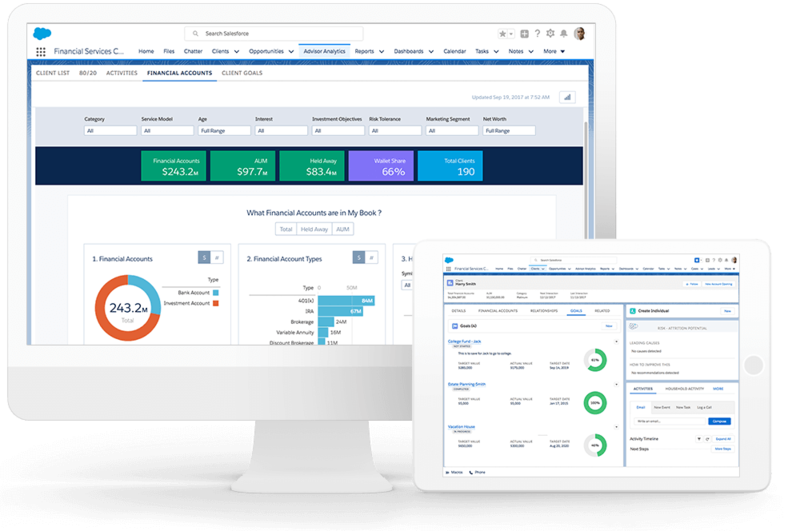 Cloudware works closely with Salesforce to help our Financial Services clients lead their industry. We are focused to help drive client loyalty, grow your AUM, work smarter and address regulatory and compliance with confidence.